Epic Games has released Patch Notes 2.02 for Fortnite Update 7.40. The update is now available for download, for all systems. The update you need to download has a size of 1.8 GB. 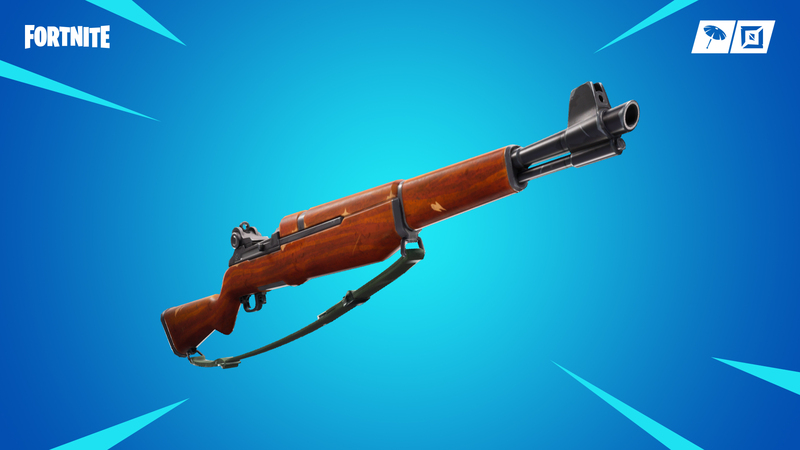 With Update 7.40 there are a lot of new content, including the time-limited Gift function and the new Battle Royale weapon Infantry Rifle. in the Patch Notes you can read all the details. The response we’ve seen to the #SharetheLove event has been amazing. And with the arrival of Valentine’s Day, we’re here to share one more surprise. Everyone who completes 13 free Overtime Challenges by February 27 will receive the upcoming Season 8 Battle Pass for FREE! If you don’t have an outfit, now is your chance to get several for free. With the Battle Pass, you’ll receive two Season 8 Outfits instantly and you can earn up to five more. 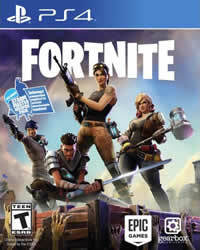 Save your V-Bucks, this one’s on us! Gifting is back for a limited time starting now until February 22! And for Valentine’s day, you can send the Heartspan Glider to your special someone for FREE until Friday, February 15 at 7pm ET. Take aim and deliver accurate fire downrange with this precise semi-automatic weapon. 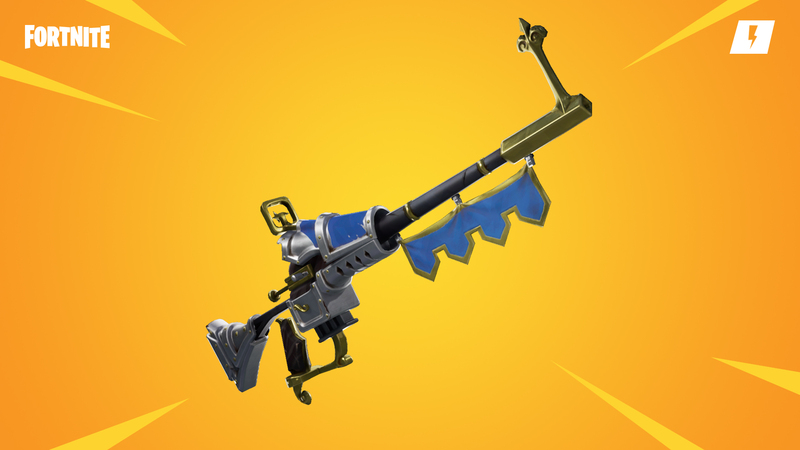 As mentioned last week, we’re continuing with rotate through LTMs at a faster pace throughout the week moving forward. The first mode is detailed below, check the in-game client on Thursdays and Saturdays to see what other modes are available! In this mode, all guns have been removed. The only weapons are grenades and other items that can be thrown or tossed. Get in there and throw the enemies back to the lobby! Chest spawns and Floor Spawns set to 100. Can only get consumables out of Chests, Floor Loot, and Supply Drops. Increase Supply Drops throughout the game. Reduced likelihood of Storm ending up near the center of the map. 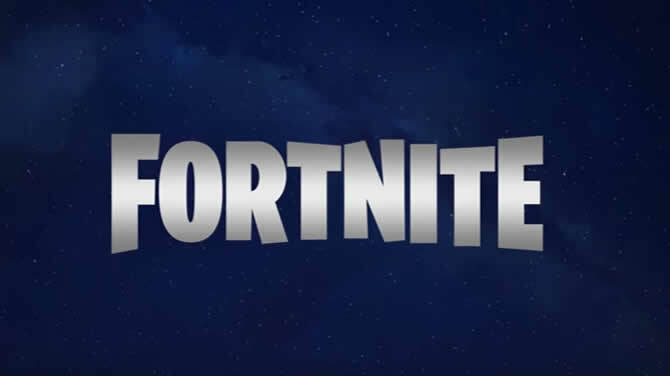 Looking to earn a free Season 8 Battle Pass? Starting with the v7.40 release, complete 13 free Overtime Challenges by February 27 to receive the upcoming Season 8 Battle Pass for FREE! Additionally, unlock 5 new rewards including the Valentine Wrap and Vines Contrail for completing these Challenges. And for current Battle Pass owners, the Overtime Challenge rewards will include new unlockable styles for the Trog, Powder, and Onesie outfits. Available in Common, Uncommon and Rare variants. Deals 41, 43, 45 damage. 2x headshot multiplier. Fires quick-moving projectiles without damage falloff. Improvements to the Bush consumable. Now absorbs one instance of weapon damage before being removed from the owner. Fall damage will not remove the Bush. Now translucent (for the Bush wearer only!) in order to allow for better visibility of surroundings. Reduced environmental damage from 150 to 100. Reduced environmental damage from 157 to 105. Shifted availability of Rocket Launchers out of Chests and into Supply Drops. Removed Rocket Launchers from Chests. Increased the chance of receiving a Rocket Launcher from Supply Drops from 25% to 50%. Reload speed increased from 2.66 to 3.42. Reload speed increased from 2.52 to 3.24. Fixed an issue causing projectile weapons to fire inaccurately when aiming at other players from very close range. Fixed an issue that was causing explosive splash damage to be blocked when players didn’t actually have cover. 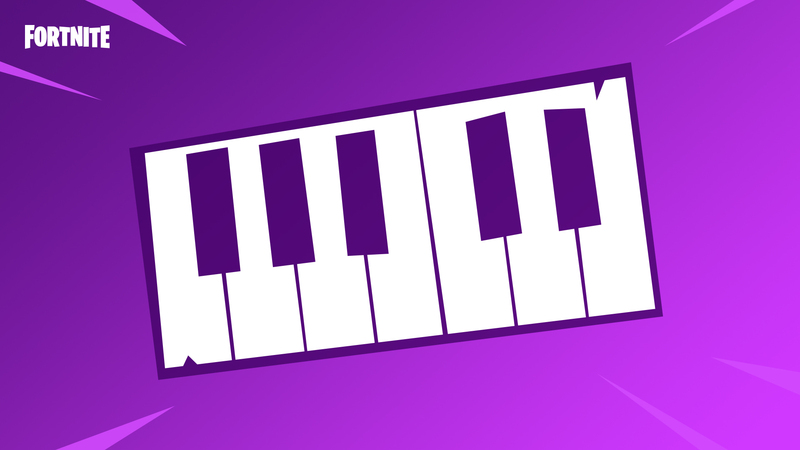 We're introducing a few larger changes into the default Fortnite playlist as a test. 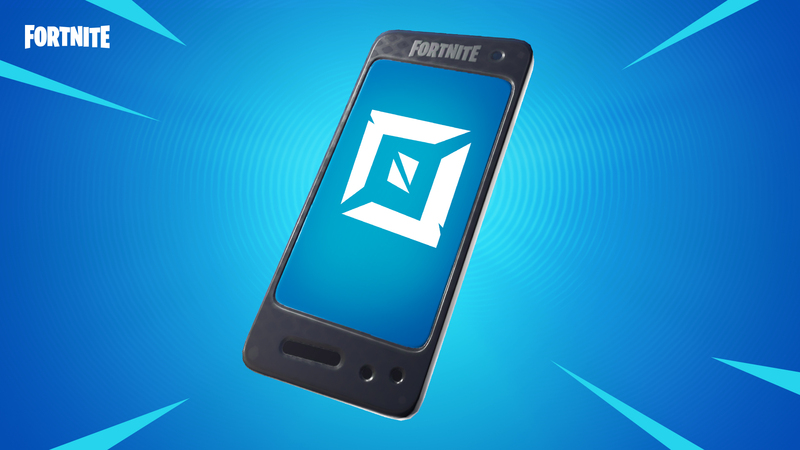 We've seen these settings in pop-up cups result in more engaging fights and allowing players to gain more consistent rewards for the risk of engagement. We’ll be closely monitoring feedback on this change - play a couple matches and let us know what you think! Removed the ability for the X4 Stormwing to break through structures and large objects. Small props will still be destroyed from direct hit from an X4 Stormwing. Ziplines are now interact to engage. Ziplines grant fall damage immunity. Ziplines now have an audio visualizer icon. Increased the travel distance by 48%. Shrink time has been increased from 45 seconds to 75 seconds. PC, Mac, and console players can now crouch while in Edit Mode. Gamepad players can assign this through custom gamepad controls. Note: This functionality is coming to mobile soon. Reduced the initial timer for turbo building from 0.15 to 0.05. Added the ability to swap the item in the currently selected slot with a new item by holding interact instead of tapping. Added UI text to show players they’re able to use swap. Not available on touch input. Floor traps will automatically build a floor piece for you if needed. You must have the required resources. Logitech and Razer RGB peripherals will now react when doing emotes. Sneaky Snowmen will be destroyed if they fall from a high distance. Stand on the head of a Sneaky Snowman to avoid fall damage. Removed HUD bar for the minigun overheating mechanic. Adjusted the distance of the Bottle Rocket sound indicators so that they match the max distance of the sound effects. Added a Bottle Rocket sound indicator for the explosion of rockets. We’ve added a compounding time delay to the aim assist “snap-to” feature when spamming the Aim Down Sight button. Each button press after the first will apply a time delay, up to 5 seconds, before the aim assist “snap-to” effect is applied. We are making this change to prevent situations where players would spam the Aim Down Sight button on enemies, which caused the crosshair to stay locked on to targets indefinitely. This change should prevent the lock-on mechanic from being abused while retaining the same Aim Assist feel. We'll be closely monitoring feedback about this change. Fixed an issue where Bottle Rockets would not align to specific slope angles. Cozy Campfire logs no longer block movement. Prevent weapon auto-reload from canceling emotes. Fixed an issue that allowed traps to trigger through lab tunnel walls in Dusty Divot. Fixed auto pickup not occurring when landing from skydiving. Fix issue where a player with no traps would switch to the build tool if they hit the button to equip traps. Fixed an issue where glider items could be triggered right after teleporting with a Rift-to-Go which would block subsequent skydiving. Fixed an issue that would block building beneath a mounted turret. Fixed an issue where Snowmen placed on the map would appear invisible or under the map. Available from February 14 until February 24. Earning enough points during any nightly session to receive a pin will unlock the next highest division. Earning a pin during a Champion Division session will advance to Round 2 - the Champion Division Finals! ‘Share the Love Series’ Sprays will be granted based on the highest division achieved, including the Champion Division Finals. All divisions run simultaneously and share the same tournament schedule. The full schedule for your server region can be viewed from the Events tab. 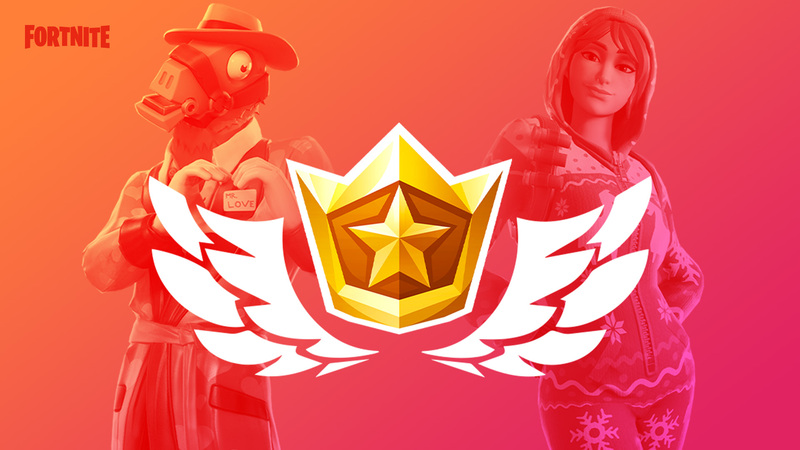 Grab a couple of your best friends and join in for the Trios One Day Cup, going from a fully Open tournament to an intense final round with the best Trios in a single day. The tournament takes place across three rounds - earn a pin during each round to advance. The full schedule for your server region can be viewed within the Events tab. Tournaments can now take place across multiple rounds, with players needing to earn a pin in order to unlock the next round of the tournament. Multiple tournaments are now able to be running at the same time. Reduced the maximum matchmaking time for tournaments from 5 minutes to 4 minutes. This value limits the amount of time a player can wait for a match in a tournament before they create the best match possible at that time. Increased the minimum amount of players for tournament matches from 80 to 90. Streamer Mode can now be used during tournament play. In-game leaderboards are now fully available in all regions, for each tournament session. These can be accessed inside of the tournament page by clicking on any tournament session. Add audio when squadmates ready up in the lobby. Add more variation to gunshot environment impacts. 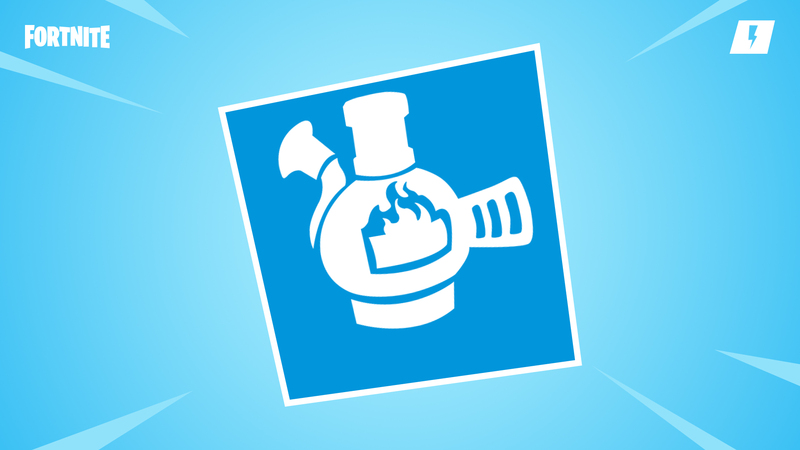 Fixed the Air Horn emote only having 1 variation on Mobile/Switch. The ability to track all of your play in one place and view it across all platforms. This includes the ability for mobile and Switch players to view their stats in-game. Breaks up stats by each individual Limited Time Mode. Players now receive a pop-up prompt informing them if a player they recently reported has had action taken against their account. When eliminated by the Storm, instead of saying "You Eliminated Yourself", the text now says "Eliminated by the Storm"
Improved look and implementation of Bad Network Indicator and updated Bad Connection Indicator UI to track bad vs severe ping. Slash commands have been improved and re-enabled in chat windows. Fixed an issue where you could switch between different tabs in the background if you were in the Player Feedback menu. Fixed missing Remove Marker map icon on Mac. Fixed Battle Pass info not displaying properly in the lobby in certain cases. Fixed an issue where elimination counts and names for teammates were not calculated properly in large team modes. Fixed an issue causing weapon animations to sometimes play twice for each shot fired in replays. The Gifting feature is back for a limited time! 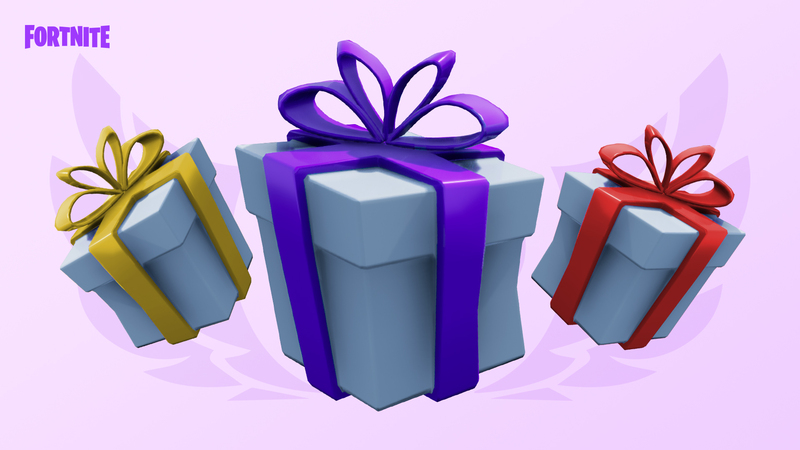 You’ll be able to send or receive presents from friends until February 22. Fixed an issue that would result in incorrect or duplicate party suggestion text bubbles to appear in the lobby. Adding an optional Targeted Edit button to allow you to edit without having to touch the screen. This allows the player to edit using their crosshairs, similar to other platforms. The Targeted Edit button can be found in the extra buttons section under the HUD Layout Tool. Edit and Edit Reset Buttons will now capture touches. No more editing through the edit button. Adding visual feedback to many mobile buttons to allow for better instant feedback and help us better diagnose issues seen in the community. Now backing up the most recently saved hud layout to the player’s cloud save. Fixing an issue with the input blocked message appearing on mobile when leaving a game. Fixed an issue causing some key-bind widgets to display incorrectly on mobile with controllers. Quick switching from a weapon to a consumable no longer briefly fires the equipped weapon. Fixed multiple issues with Turbo Building or weapon firing stopping when switching weapons or switching between Build, Edit, Combat mode. Fixed an issue with touch input causing controllers to stop responding when scrolling. Fixed multiple issues to support more controller hardware as well as fixed many issues related to parts of the UI that may not be properly navigable by controllers. Too big or too small? Adjust props until they are juuust right with this brand new functionality. Create, combine, and play your original tunes with this brand new tool for aspiring musicians! Published Islands will display their Island code as a watermark to visiting players. Creators can turn this off on the My Island Game tab. Adjusted the spawn location for players in the Creative Hub, to make it easier for new players to find Featured Islands. Doubled the size of the Featured Island pictures in the Creative Hub. Fixed not being able to control your player when using the menu to return to the Creative Hub while the end of game stats was displayed. Fixed an issue where respawning or traveling to a blocked destination would send players back to the Creative Hub. The options range includes 1-10, All (calculated based on the number of Challenge Items placed on the Island), and Off. This allows creators to choose if late-joining players will start as a player or spectator. Sets whether the game waits 30 seconds before starting. Added a Collect Items Score Preset for scoring Island games based on the number of challenge items collected. Devices will automatically build floors upon placement, making it easier for placement. Fixed an issue where the player's ability to jump would break after returning to the Creative Hub while a minigame is started. Fixed an issue where eliminated players, who leave and rejoin the game would return as a player and not a spectator. Fixed an issue on mobile where controls could become unresponsive when using certain combinations of touch and controller buttons. Deals 41, 43, 45 damage. Cupid’s Crossbow returns for a limited time. Due to problems with the Sneaky Snowman that could crash servers or affect performance, Sneaky Snowman can no longer be copied using the Phone. We’re planning to improve this in a future release. Added ability to Resize props! Props can be enlarged to up to three times their original size, or shrunk as small as a third of their original size. A holographic drop shadow will now show you where a prop will fall before you place it when Drops is turned on. Fixed various assets that would fall through the floor when dropped on the terrain. Fixed an issue where players could drop items at their feet using the Phone tool, causing various issues. Added new Obstacle Course, Arctic Base, Winter Village, and Ice Castle prefabs. Added new Gallery tab in the Creative Inventory, separating galleries from prefabs to make it easier to find the prefab you want. Added a new Visualizer Gallery. Reacts to music played through the Radio prop in the Visualizer Gallery. Has looping, trigger settings, and tempo options. The sequencer can trigger other sequencers. Added Radio Device in the Visualizer Gallery that plays music and ambient noises. Has volume and attenuation settings. Added a configurable option that allows the first spawn to be delayed. Added more time options to Time Between Spawns option. Fixed an issue where the Concert Spotlights would turn red after the Phone tool cursor passes over them. Fixed an issue where an archway prop from the Ice Castle prefab would occasionally delete player built buildings when placed nearby. Fixed an issue where the Player was able to build beyond the Memory Thermometer maximum limits. Fixed collision issues with the vines from the Nature Shrub Gallery. Fixed an issue where the glow stick light would disappear when re-entering an Island. Adjusted the name to "Village Building Color Gallery A" in the Creative Inventory. Fixed an issue where placeholder texture appeared over the glowsticks from the Ambient Gallery after highlighting them with the Phone tool. Fixed the damage rails to allow them to be properly placed on inclining and declining ramps. Fixed an issue where Item Spawner devices would function incorrectly between successive games. Fixed an issue where the Elimination Zone device would not be destroyed if their floor tile was destroyed after a game ends. Fixed an issue where the Barrier device could not be customized when placed on a wall on mobile. Fixed an issue where the sound effects from losing a Movement Modulator buff plays twice when running over a Speed Boost pad. Fixed an issue where a Barrier device visualization area would display incorrectly when oriented horizontally with height 2. Fixed an issue where items inserted into the Default Item Spawner do not appear in the player's inventory if their team and the spawner's team settings are set to a number higher than 1. Fix creative/devices Removed extraneous stats from vehicle spawner devices. Physics objects and vehicles now trigger music blocks. Fixed an issue where the player respawns on the wrong spawn point when switching teams after running out of respawns. Fixed an issue where the player would enter a Down But Not Out state when switching teams, if the game setting Down But Not Out is active. Randomized which teams players are assigned to on game start. This was previously determined by the order in which players joined the Island. Fixed an issue where the first time a player opened the Team Select dialog it would display the correct team but Apply would set them to team 1 if the player didn’t adjust the team. Fixed several crashes caused by respawning. Added the Description tab to the My Island menu for Creators to write more detailed game descriptions and rules for their published Islands. Added Game Start screen for published Islands. Adds game descriptions and options to start the game or support the Island creator. Added a "Support A Creator" button to the Game Start screen. Opens “Support A Creator” auto-filled with the Island creators name. Fixed an issue where option tabs remain yellow after selecting them on mobile. Fixed an issue where Smoke Grenades are missing two rarity stars in the Creative Inventory. Fixed an issue where the hand prompt for the "Barrier" device is misplaced on mobile. Fixed an issue where the Drop icon would not visually toggle when enabled and disabled on mobile. Fixed alignment issues with button fonts in the options menu. Fixed a number of issues with the tops of glyphs getting cut off in the Creative mode UI. Fixed player counts not showing up in the HUD for Creative mode. Fixed an issue where Creative mode "Start Game" button could be incorrect the first time the pause menu was opened. Fixed an issue with the hover descriptions of the "Start Game" and "End Game" buttons in the Escape menu not disappearing when the mouse cursor was moved off. Fixed player’s health bars sometimes showing up empty in Creative mode. Fixed an issue where an invalid UI message could sometimes persist on screen after resetting an Island. Fixed an issue where slow server response times were occurring when players left the game. Precision is key! Line up your shot for maximum Husk-age. The Storm Intensifies! The lower the Burner... The faster the Storm... And higher the damage! The storm shrinks much faster and is more damaging. Keep that Burner filled! Survive for 30 minutes, three times, to collect the Week 7 Challenge Banner. Available on February 13 at 7 PM ET. The Seasonal Gold cap has been removed. Challenge quests tied to console achievements and trophies will now award banners. Players who have already completed these quests will also receive these banners in a gift box. PC players will also be able to complete these quests and receive the banner rewards. Shout out to the Save the World Community for this suggestion! Improved AFK handling in Save the World. Players will now receive a notification when another player is kicked from the match for being idle. This is the first of several changes coming to improve AFK detection. Fixed an issue with Mac clients not detecting missing Save the World content when trying to launch missions. Fixed an issue in Fight the Storm that caused the Atlas to be invisible to players that joined in progress. Fixed an issue in Repair the Shelter which caused the shelters modules to appear as installed on the shelter when player built structures near the shelter took damage. Fixed collision issues on Repair the Shelter and Evacuate the Shelter that allowed enemies to walk through them when the shelter defense was not active. Items in the X-ray tab of the Item Shop are no longer flagged as “New” if they are in your collection book. Fixed navigation failing when selecting a disabled evolution when evolving a schematic from the collection book. Fixed an issue with the evolution confirmation button becoming improperly disabled in some cases. Fixed an issue with trap picker wheel being unresponsive to mouse clicks after picking a trap category. Banner Gadget should no longer incorrectly appear as the default banner in certain situations. Fixed an issue where spectator text would only show the first time the player entered spectator mode. Fixed trap quick bar slot not updating when equipping certain traps. Player drones should properly appear when returning to home base from the mission completion screen. The “Open pending” button on the Loot tab of the Item Shop is now anchored to the right side. Fixed a bug that could prevent Upgrade videos from playing in the frontend. Improved quick bar responsiveness and decreased performance impact. Fixed an issue that didn’t allow Ninjas to build while Mantis Leaping. New: Yeoman Sniper will be available in the Weekly Store. A powerful rifle that fires high-velocity piercing arrows that deal very high damage and impact. Can only fire once before reloading. Available on February 13 at 7 PM Eastern Time until February 20 at 7 PM Eastern Time. Dragon's Fist returns to the Weekly Store. A slow-swinging hammer that deals fire damage with powerful knockback. Overhead Smash: Heavy attack that does increase damage and knockback. Candy health pick-ups spawned from alterations (Candy Corn and Gum Drops) will no longer make the pick up sound when they despawn without being collected. Bulk crafting, when in a zone, now awards crafting score based on the total craft count instead of one item. Fixed an issue that prevented schematics obtained after 7.20 from giving invested RE-PERK and PERK-UP back when recycled. Fixed an issue with Guardian's Will and Spectral Blade that granted the wrong materials after being recycled. Leap Attack now correctly resets jump height when used, preventing fall damage if near the ground. Hit Markers no longer show when shooting something that cannot take damage. Fixed an issue where the Jabberwocky launcher was dealing too much impact. This Schematic will be flagged as eligible for “Item Reset” due to this change. Fixed a regression where melee weapons would not always do damage on the first attack after equipping. Adjusted collision volume size for Crossbow and Heartbreaker, making them less difficult to fire through the window of the Riot Husky’s shield. It is now possible to place floor traps and walls without first needing to build a floor building piece. You can do this by opening the Trap menu and selecting a floor Trap. If there is a valid spot to place the Trap, a floor building piece will automatically be built for you, with the Trap. Sensitivity handling behavior unified across all game modes. Fixed an issue where Subzero Zenith played the wrong body size idle in the frontend. Storm Shield: Fixed an issue where if the player died immediately after entering a storm shield, they would still suffer storm shield damage upon respawning. Fixed an issue that caused a sniper scope to be stuck on your screen when spectating an ally in Frostnite. Hover Turret now self destructs if the player that cast it is eliminated. Does not apply to DBNO. Fixed the drop rates for the "Ray on a Rooftops" Canny Valley quest item. Fixed an issue that caused players to randomly fall through the floor. Kicking a player in the lobby while in zone should now correctly kick the player from the game. No longer uses ranged attacks against players. Only use their melee attacks against players at very close range. May take a few steps to swat players away, then they return to using ranged attacks against the objective. Use their roar before throwing less often. Melee damage against walls has been increased. Ranged attack damage increased to match the Lobber. Throwing and melee animations have been sped up slightly. Enemies thrown by the Flinger will no longer fall out of the sky when they are damaged. Removed ranged weapon resistance from the Flinger and increased health. Poison Lobber projectiles do environment damage on impact again. This will allow them to get to players and challenge them more easily. Water elemental weapons had their shader updated to use the higher quality ice shaders. The player character now correctly animates when taking damage from the Wild Rift. Added AFK (away from keyboard) alert sound. Fixed an issue with music restarting in the Hero menu tab. Fixed an issue with Ray repeating siphon mission dialogue. Removed the music from loot store results screen loot so that previous music is not interrupted. Fixed issue with weapon destruction audio timing to match visuals. Updated Rocket Hammer impact sounds. Adding a dead zone adjustment option for gamepad sticks. This option can be found in the controller menu, next to combat, building, and edit. This is not available on the Switch. Gamepad sensitivity while holding a trap will be the same as building and editing sensitivity. Fixed a crash in Mac client that could happen when disconnecting a monitor while in-game. Fixed an issue causing the "Early Access/Beta" tag in the upper right to be much larger than desired. Fixed an issue which would sometimes cause lobby background environments to overlap or fail to load. Fixed a rare crash on loading screens. New option "Lock Input Method as Mouse". Allows players to use both the mouse and controller simultaneously, without suffering from FPS drops. We temporarily enable this mode if we detect a user thrashing between mouse and controller input modes. Improved performance for PC sessions utilizing Low Post Process settings, and on iOS by disabling blurring behind the UI. Lowered the minimum allowed resolution on Desktop platforms from 360p to 270p and improved auto-selected settings when running the benchmark on low-end systems. Improved rendering performance for Switch.